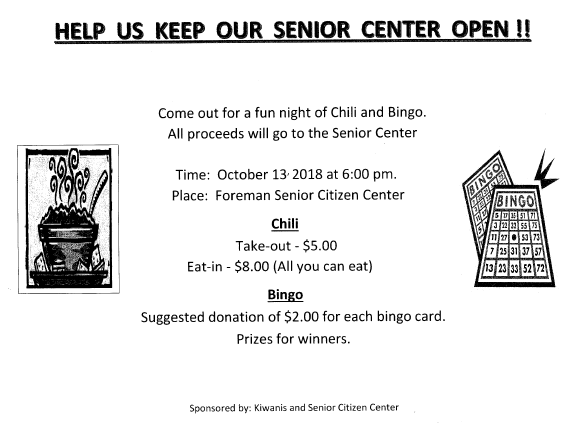 Help Us Keep Our Senior Center Open! Our Senior Citizens center is in need of a fire suppression system in order to keep their doors open. They are hosting a Chili & Bingo fundraiser to purchase this system. Please mark your calendars for October 13, 2018 at 6pm! I have attached the flyer for the event. Please download and distribute to help get the word out! We need your help!